It is not uncommon for children to get head lice at school. Not only do you have to get rid of the lice in their hair, you also need to make sure you get rid of any lice in your house. This is a guide about getting rid of head lice. When my kids were young, head lice plagued the school system and my long haired children. My kids are Hispanic and Native American so cutting the hair was out of the question. I do not use chemicals and stories about them not working, costing a fortune, and causing damage just reinforced my choice not to go that route. Tea tree oil is a popular homeopathic deterrent, and coconut shampoo and conditioner is also recommended. Always treat bedding, mattress, stuffed animals and winter coats and hats/scarves. Things that can go into the dryer -DO IT. Bag stuffed animals, because the dryer can ruin beautiful materials the toys are made of. I am not fond of tea tree oil's smell especially when you send your child to school smelling like a medicine chest. I used cinnamon oil to improve the smell. Always mix only 2 drops into a quart of water. Never make it stronger or cinnamon oil will irritate skin. But I found that a light mist on the hair and spritzing the coats and hats eliminated the head lice plague! Of course, use caution! I think food grade cinnamon powder would also work. Dust items in a garbage bag, sparingly and mix some in hot water for the spray bottle. Compared to expensive and caustic chemicals, it works fantastically. Very inexpensive, very effective, and very Natural. The bottle of cinnamon oil did my kids for years and I shared it with others plagued by the insects. No one ever complained about the smell. Between occurrences use coconut shampoo and conditioner and continue to maintain the bedding, pillows, and stuffed animals. You may never hear the words "head lice" again. I brought up 5 children and when one got lice, they all got lice. It is not a very funny subject in that you have to wash and dry everything in the house. The medication is not really great so I used hair dye on them. Each child's hair was dyed the same color it was before they had lice. I found the hair coloring killed the lice better than any prescription medication ever did. Boy, was I thankful when they got older and there were no more lice infestations! As a preschool teacher, I have heard (and tried!) many tips for getting rid of lice, the back-to-school bane of every school. The best and cheapest one is to use mayonnaise. Not only do you get rid of the bugs and their eggs, but you also give yourself (and/or your child) a hot oil and egg hair treatment. Apply a glob of the cheapest mayo you can find (adjust the amount for hair length) and comb it thoroughly thru the hair, from scalp down the hair shaft, making sure to cover all the hair. Wrap with plastic food wrap or tie a plastic shopping bag around your head as you would do if you had washed it. Wrap with a towel to catch the drips as it "melts" into your hair, and find a good book or movie for a while. (My granddaughter and I watched a Disney movie.) Remove the towel and plastic wrap and comb the hair again. Depending on how bad the infestation was, you will see bugs and eggs in the comb. Thoroughly wash your hair (I did nothing special, just used my regular shampoo). My hair was past my waist in length, and my g-daughter's was almost waist-length. No bugs, no eggs! Earlier this afternoon before I knew that I have lice I had applied olive oil to my entire head. Then I discovered lice. Now online I see that if I want to use the CVS compared product to get rid of them, I was not to wash and condition my hair in order to get the olive oil out of my hair so that it would be manageable in order to apply this medication. Lice seem to hang on forever and re-treatment usually has to be done. Some people swear by using olive oil to eradicate the lice so you may be of to a good start. If you have already purchased a product that says use on dry hair only then you may have to shampoo your hair and dry it before using that brand. The main thing is do not use anything but straight shampoo or even Dawn dish soap instead of shampoo. Do not use any type of conditioner, just rinse out shampoo. Blow dry your hair (even this will kill many nits but not live lice). Use your product as recommended but be ready to retreat in a few days. Be sure to wash (hottest water) all towels, bed linens, etc. and dry on hottest setting. There is a lot of information on this subject but here are a couple of very informative sites. Check out the different products before your second treatment. Here in Tahiti it is a tropical island and head lice are most common here. The shampoo they sell to kill the lice is hard on people's hair, especially the younger children. Lice is common in small children here and it seems that most children bring home head lice once a month or more. Here are some great tips and tricks that we use here for head lice that seem to work fantastic and keep them off the children's hair. You have already applied oilve oil to your hair which is fantastic. Now all you need to do is apply the oil to your hair with a plastic night cap and leave it over night. In the morning wash your hair with an herbal shampoo containing tea tree oil. You can also use garlic to kill the head lice. You will need to use 8 to 10 cloves of garlic and grind this into a paste. Add 2 to 3 tablespoons of lemon or lime juice to the garlic paste and apply it to the scalp of your head. Leave this on for 30 minutes and wash or rinse your hair in hot water. Repeat this one a week for 5 to 7 weeks. Baby oil works fantastic for getting rid of lice. Apply baby oil to your hair and comb it through your hair. 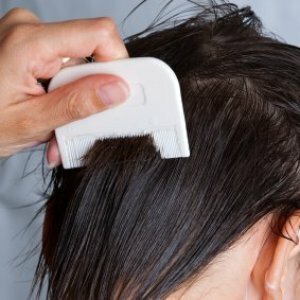 The lice will die and start falling out of your hair as you comb it. Now use laundry detergent to wash your hair. Just before bedtime put white vinegar in your hair and cover your head with a plastic night cap. In the morning wash your hair with regular shampoo and conditioner. You know the rest about how to clean your bedding, pillows and other things around your home to kill the lice in your home. I have had head lice for months now. I've done all the treatments out there and home remedies too. I don't know what else to do. My granddaughter has head lice. She goes to school after using different medications, prescribed and over the counter. She appears to be free of lice, but come home again with lice. What is the best treatment and why is she not getting rid of the lice? Well for starters everything she has touched, slept with, basically everything needs to be bagged up and sealed for at least 2 weeks. Clean all furniture also. Put plastic pillow covers on her bed, plus spray her bed and all furniture that cant be cleaned. And comb through her hair very carefully. I've also heard that washing your hair with lye soap strips everything clean but make sure you shampoo with regular shampoo several times after using lye soap. My granddaughter keeps coming home from daycare with head lice. I have done the spray and wash everything in hot water. Any other solutions? This doesn't seem to work. Keep doing what you're doing but also contact the daycare provider. If you are following the directions on the lice killing chemicals and nit ridding on your granddaughter, the only thing that makes sense is that the daycare provider is not getting rid of the lice there. Either the group area is not being deloused properly or one of the other children is living in a home that isn't being deloused properly. Ask me how I know. My daughter (now 34 and would be mortified to know I'm sharing this story) caught head lice three times during kindergarten. The third time she begged me to shave her head the way one of her classmate's mother did. I was at the school in a flash insisting my child would not return until that whole school was cleaned, and someone went out the classmate's home to help that mother eliminate the lice her son kept bringing to school. A group of mothers contributed to a fund to buy that family enough supplies to properly delouse. It can be very expensive if the infestation is well entrenched. We knew the child's family didn't have the money to do the job properly. 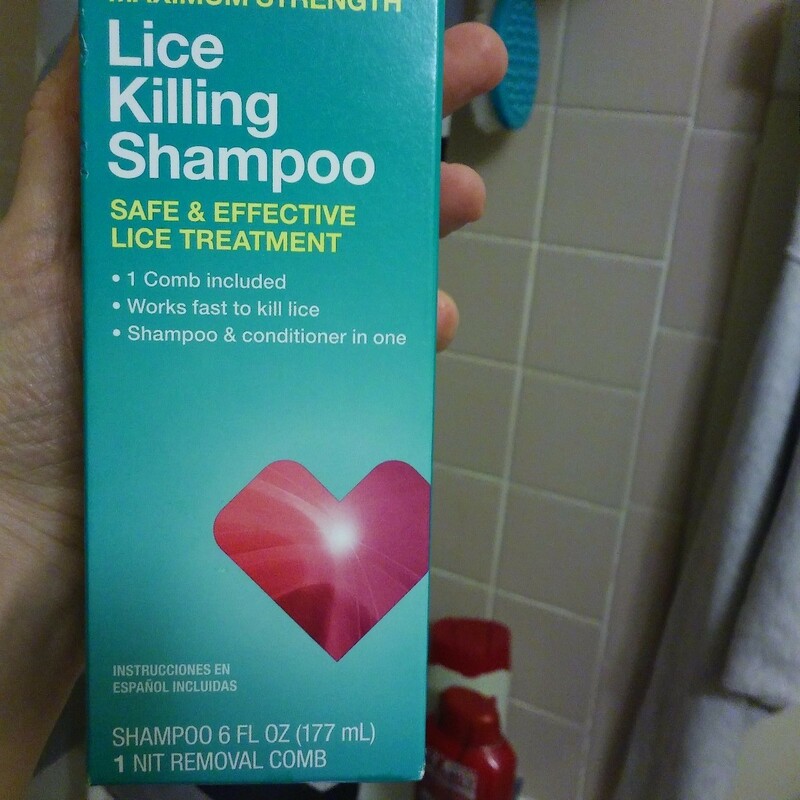 It worked, my daughter never had head lice again. The little boy's family got some help, and the school was cleaned up. The young man was able to grow his hair to a normal length, poor kid. The daycare provider needs to prove to you they have properly addressed the problem. Insist on seeing receipts from a pest control firm, and that they've identified the child who is bringing lice back because his/her home is not being deloused properly. And hopefully, if the family is on a very tight budget, you and the other families will be able to help them get the supplies they need to take care of the problem. How do you remove the nits from a child's hair? Please let me know. My daughter got them in kindergarten years ago, and it is a tedious task. I sat her in a wooden chair, with an old sheet up under it all. I had to divide the hair into thin sections, with help of hair clips and combs. Then I had to go through, and pulled off each one with my nails. This was after applying the shampoo to kill the lice. It helps to soften the 'glue' that attaches the nits. It can be painful if your child is tender-headed. I had to grasp each one, and slowly pull down the hair shaft. I tried the removal combs, but they didn't get them all. Then I threw away the sheet, combs, clips, etc. You don't want to keep anything that you used for nit removal. God bless you, and just use more patience than anything. The first time I heard of a 'lice removal service', I wondered why I never thought of it! It sounds like a waste of money, but if you have ever dealt with it even once, you would be glad to let someone else take care of it! Best of luck to you, and take care. My daughter got head lice twice in the same year. We found out later that the children all piled their coats on top of each other inside the classroom door, as there were no hangers or any other way to keep them apart. How do I treat or find head lice? Olive oil. Work into hair down to the scalp. Cover with a shower cap. Leave on while sleeping. Wash out. Dawn dish detergent does well getting it out. May have to wash multiple times. Usually best to wait 2 days and do it again. Leaves the hair shiny and soft. No harsh chemicals (that don't work) and the school nurse recommended it. My niece had head lice while I was pregnant and gave it to me. Well I didn't have any money at the time so an old trick that I was thought was to put mayonnaise in my hair. Now remember I was pregnant so it doesn't have any bad smell. Also its not expensive. Don't forget that you have to wash all bedding and blankets in hot water and dry in a hot dryer. Pillows and stuffed toys should be sprayed with a pesticide and put in sealed plastic bags for a few days, then aired thoroughly. Otherwise, they will keep coming back! There is a shampoo that the doctor can prescribe to you. Also make sure that you wash your bedding and anyone else that has long hair in the house should also take preventative measures, since they jump from head to head. The "mother lice" is a black small odd shaped thing (that you may never see, since it moves around) and lays clear eggs at the scalp of the head. Since the eggs are clear, they are difficult to see, but not impossible. If you find one egg, it is more than likely there will be other eggs in that same area. The way to kill the eggs is to pop the eggs in between your fingers (you will definitely hear them crack). I tried many ways and finally found the method! Denorex shampoo. Make sure it is the one with coal tar in it. It stinks but it does the trick. Even rids nits without combing. About 7 dollars at Walmart, if not found there, buy at Walgreen's. Worth every penny! You will get wonderful relief and be so thankful for this stuff! Google this shampoo and you will get wonderful testimonies from others who tried everything before and couldn't solve the problem until they discovered Denorex! My 3 daughters and I had lice not long ago. It was a nightmare! I finally took them to a lice specialist and paid lots of money, but in 2 hours they did what I had been trying to do for 5 days. You don't need to spend all the money I did, though. The key is to find the right lice comb. The cheap plastic ones in the drugstore kits are worthless. The Terminator or Licemeister work wonders! We had such a bad outbreak at the school and nothing was working for anyone. Even our principal and her daughter got it. But everyone who got the Terminator was back to school in a day or two, with no nits, while those who didn't were gone for almost a week. You can find these combs online or at some kids salons. They aren't cheap, but it's cheaper than the money I spent tryng everything else. I am looking for a home remedy for head lice. I found head lice on my granddaughter when she came to visit. How do I clean my microfiber couch and loveseat to make sure they are not on them? Lice need food to live, so they don't stay long on non-living surfaces. How hard is it to kill lice on furniture? : Off of the body, lice can only survive for a day or two. Nits that hatch will die if they don't find food within hours. This means de-lousing furniture is easier than delousing a person. Regular lice sprays should have no trouble keeping your furniture lice free. This is taken directly from this link...which is cool by the way. We had head lice in our house a few years back. We just vacuumed the furniture everyday (at first) and then every few days and so on until my daughters problem was cleared up. Plus she was banned from sitting on the couch until then. PoorbutProud is right that the lice don't like to be on non-living surfaces and that it is easier to delouse furniture than people. Good luck! Question: Back to School... Head Lice! Is there an economical way to rid children of head lice. My family is infested with the critters and after 2-1/2 mos of Rid, Nix and other home remedies, we cannot seem to clear them. HELP! My sister and niece have lice. My sister has taken her daughter to the Doctor. He told them to get Rid. They couldn't find it at the drugstore but they did find Nix. They used it and did everything they were told and It didn't work. My sister called the Doctor back and was told to saturate both of their heads with mayonaise and leave it on for 8 hrs. They did that and for almost a week they thought they were gone. They hadn't seen any until today. The Doctor prescribed something called Ovine. With the insurance they have the meds were still going to cost $123.00 and that was just for my nieces head. They don't have much money right now and $123.00 to her may as well be a million. Please, if anyone knows anything that will work I would love the feedback. They were supposed to come to my house for Thanksgiving because they didn't have anything but now with the lice I can't take a chance of anyone else getting them. My niece is 2. Thank you so much! I have had them before and now I do again. It is so frustrating. My scalp really hurts when I scratch it. It bleeds and I am concerned I will get an infection. I tried the treatment, but it did not work. Please help. Headlice are a pain, but go to the doc and get a prescription for the stronger NIX they will write for you, also make sure it is not something else like an allergy or a dermatitis problem. Other than that, here is a way I got rid of lice from my girls who got it from an extracurricular activity: It is very simple. For the next 3 weeks, every time you shampoo you hair in the tub or shower, use Dawn first and let it sit about 3 minutes and rinse it out. The most important thing is to have a metal lice comb. Flea combs are too large and the plastic ones they give you in the products you buy are not good or effective. I would buy about 4 lice combs and put them in each room with a roll of toilet paper and a spray bottle of rubbing alcohol. Then when you comb out your hair, and you don't really have to comb all the way down since they will be within two inches of the scalp, I do because it makes my hair look prettier. This way anytime you want and about three times a day anyway, comb through your hair with it and get those little suckers. For the treatment time, I used the lice comb everyday about 4 times and then an extra 6 times. I bought one that had a magnifying glass on it. Every time you go into the bathroom, comb through your hair with a lice comb. You can have a little bowl of soapy water, and you will be able to see the lice and nits come out. Each time you think of your hair or each time you have an itch. Lice comb your hair. I actually like these combs, they are great. With repeated shampoos with Dawn, letting it sit for 2 minutes or so, shampooing with regular shampoo and lice combing 6 or 7 times a day for three weeks or so should do it. I would wash all my clothes and bedsheets and whatever with Dawn, and spray with rubbing alcohol everything else you are near. Well, when I was a kid my mom put tea tree oil on it. It really works. They hate the smell and will leave within days. First of all, not only do you have head lice, so does your: hairbrush, pillow, winter coat collar, couch cushions, carpet, snuggie blanket, bedding, mattress, bed blankets, bath towels, hat, toboggan, scrunchies, and possibly your cell phone cover, get the picture? Secondly, do not wait the ten days the package says before re-treating your hair. They will already be on round #2 by then. Retreat your hair at seven days, for about three weeks. While the solution is in your hair, brush through with your hairbrush or comb, and let the solution sit in the brush while you treat your hair. Also, steady comb through with the nit comb while the solution is in. Not like normal combing, but pull the section straight out from your head, lay the nit comb flat against your scalp, and push it up against the hair as you go straight out from your head. Now, the lawn and garden center has a concentrate by Ortho and other manufacturers for aphids on roses, this stuff is exactly the same stuff that is in your lice shampoo. Wash everything that has come into contact with your head. Take the couch cushion covers off and wash them with detergent and the aphid solution, seal the foam rubber cushions in large lawn and leaf bags, and then put the clean covers back on over the cushions. Same with throw pillows, bed pillows, coats, scarves, etc. Put the aphid solution in your carpet shampooer and have at it. Don't forget your car interior, if it is cloth, put plastic bags over the seats and head rests for at least two weeks. Lice can't live long unless they can feed. Then check the kids, their friend's heads, and anyone else who may be re-introducing the lice back into the house. I know all of this may seem extreme, but when our six children were little and lice shampoo had to be bought out of pocket, they all decided to play lice merry-go-round, and this is how I stopped it, once and for all. When I was little the people in my town used diluted kerosene to rinse the hair. Obviously you have to be very careful. No matter what you use on the hair, you have to get rid of the lice eggs. They do not die with the shampoos and treatment, only the live bugs die this way. This can only be done by taking the time to pick them out of the hair of the infested person. Take the day off of work, it is a laborious process, but if you don't do that you will never get rid of them. The eggs look like tiny little translucent teardrops and are at the hair root, mostly near the neck and ears. You need a special comb, because they are very sticky. Nix is the only one that works. I asked my pharmacist and he said doctors will write prescriptions for Nix, never Rid or the other ones. Also buy several lice combs, not flea combs, and every time you feel an itch, comb it out. There is a lice zapper comb, but I am not sure how good it works. The eggs are the hardest to get out of the hair. Put pillows in plastic bag for two weeks. Or spray them with furniture lice spray. Comb and then comb again. The metal brushes work well. I like doing a Dawn dish washing treatment to kill lice. First I spray on detangler or conditioner mixed with water, or just comb conditioner through hair. Rinse, partially dry, then comb lice eggs and lice out of hair. Rinse and wash with Dawn and leave it on without rinsing for about 5-7 minutes, then rinse out and pour apple cider vinegar over hair. Then go ahead and shampoo hair as usual and condition it. You have to keep doing this. If the Nix doesn't work then go to the doctor to get a stronger prescription. Lice are getting immune to some of the treatments, Nix is the only one that works. I do this all the time, even when they don't have any, I still comb their hair with a lice comb. I like the way the lice comb makes my hair have more body. You have to keep combing every day and make sure you don't forget to do it after or before you wash your hair every time. Don't keep using the store brand over and over. Go to the doctor and get a prescription if the lice are not responding to any home remedies. Don't do Nix and Dawn at the same time. That might be too much for your hair. I heard that shampoo for cats gets rid of head lice, is this true?